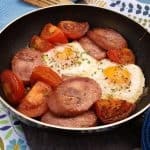 One-Pan Polish Breakfast is a simple recipe idea, but the Polish Kielbasa sausage makes it really rather special and totally delicious. 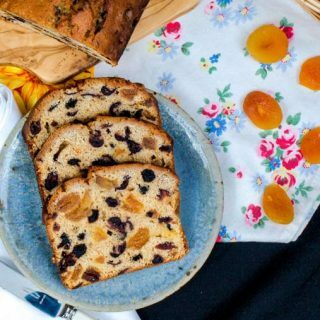 The recipe comes from a new cookbook Wild Honey & Rye – Modern Polish Recipes by food writer Ren Behan. A love of good food and pride in her Polish heritage are the two things that inspired Ren Behan to write this book. 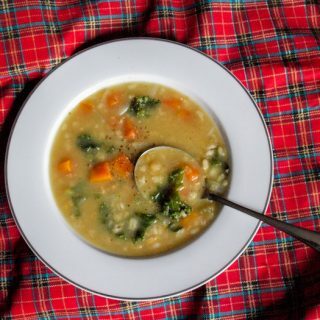 After a bold leap from the courtroom as a criminal lawyer into the family kitchen as a new mother, Ren wanted to find a way of making the task of feeding her family into something more inspiring than an everyday chore, and she now spends every day doing what she loves: cooking, trying new recipes, writing about food, travelling and experiencing new food adventures – and feeding her family. 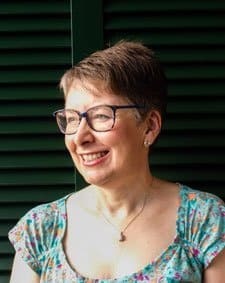 I’ve known Ren through her website and online writing for many years, she is a consummate professional, so I wasn’t surprised when she got a book deal, I was delighted. Scotland is the home of many Polish families, many Scottish girls married Polish Airmen after the second world war, so Polish names were something we took for granted growing up. More recently many Poles have been drawn to Scotland for work and have been welcomed into all aspects of our lives. In an online conversation, Ren asked if I had any memories of Polish food, but unfortunately, I either didn’t pay attention or I wasn’t exposed to any specifically Polish foods! Ren starts by telling us a little about her family, her love of Polish food, the heritage of the food and how Poland is changing, all leading to the writing of Wild Honey and Rye. There’s a useful section on the Polish Pantry with information about the key ingredients needed to make the recipes, most of these are easily available. Sweet and Savoury Breakfasts – this chapter covers everything from Home infused Honey to a Fruit Souffle Omelet. 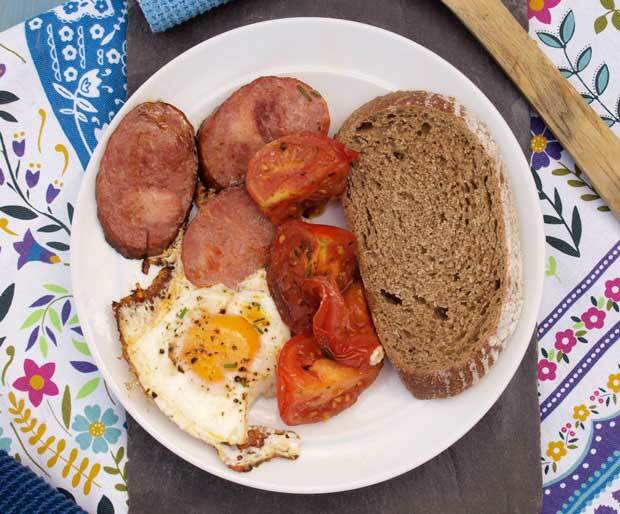 I chose to make the One-Pan Polish Breakfast using Kielbasa Polish Sausage, we actually ate it for lunch and it was really delicious and super easy to make. Seasonal and Raw Salads – I love the sound of Leek, Carrot and Apple Salad and Russian Salad reminds me of those tins of Heinz Russian Salad in mayonnaise, but I’m sure it is much nicer! Seasonal Soups and Market-Inspired Sides – I am a huge fan of all things beetroot, so with a traditional, summer and chilled Beetroot Soup, there is plenty there to keep me happy. I was blown away by the photograph that goes with the Forest Mushroom Soup and it’s on my list to make as soon as possible. I’m also going to make the Apple Mashed Potatoes as a different way to use some of the apples from my tree, Carrots with Honey and Star Anise also sounds like my kind of flavours. Lite Bites and Street Food – Pickled Herrings are another of my favourite foods, but I’ve never seen them preserved in linseed oil, so am fascinated by this recipe and the lovely serving ideas. On a more modern note, the Polish Flatbreads with Courgette, Red Cabbage and Rocket could grace the most modern of Hipster eateries! Food for Family and Friends – so many delicious recipes in this chapter, real home cooking I’m tempted by Meatballs with Mushroom Sauce, Pearl Barley Risotto with Bacon and Roasted Pumpkin and Duck Breasts with Plum, Honey and Red Wine Sauce. You could not have a Polish cookbook without a recipe for Polish Dumplings or Pierogi, Ren doesn’t disappoint and shares the secrets of her Mama’s master recipe, then provides a whole range of delicious fillings for these popular dumplings. High Tea: Sweet Treats and Cakes -I love the look of the Polish Apple Cake with its’ grated pastry topping and the Plum and Poppyseed Tray Bake looks like a great family cake. Fruit Liqueurs and Flavoured Vodkas – now this is definitely something worth trying, everything from Traditional Fruit Liqueur to Salted Caramel Vodka and Spiced Honey Vodka. 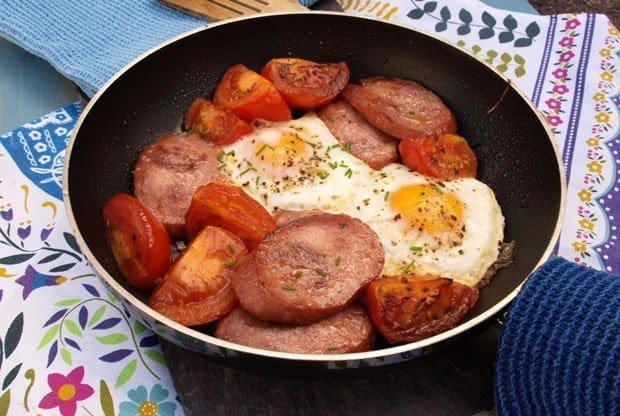 This One-Pan Polish Breakfast is one of Ren’s favourite breakfast dishes which she cooks most weekends, it’s a sort of Polish version of a Full English/Scottish/Irish Breakfast! All the better for being made in one pan! 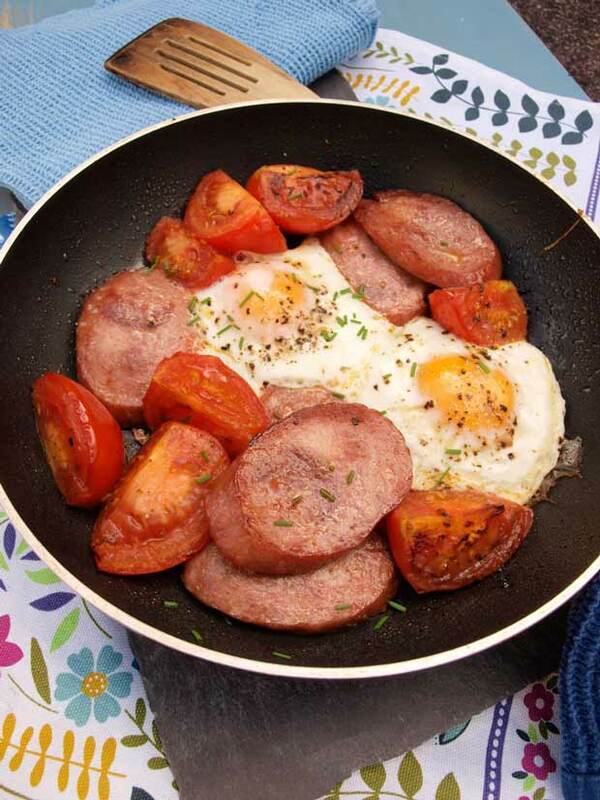 One of Ren's favourite breakfast dishes, use any type of kielbasa or smoked polish sausage or you could even use bacon. Heat the oil in a frying pan over a medium heat. Add the sausage or bacon and cook for 2 minutes, until it starts to colour. Add the tomatoes and mushrooms, reduce the heat an cook for 5 minutes. Make sure everything is evenly spread out in the pan. Create some little gaps and crack in the eggs. Cook until the whites are starting to set, then transfer to the grill (or cover the pan with a lid) and cook for 2 minutes or until the eggs are done to your liking. Sprinkle with dill or chives. Serve straight away, in the pan. I made this for two and forgot to buy the mushrooms! There wasn't 'much room' in the pan (pun intended) and we didn't miss them, but I'm going to try it again and use the mushrooms next time. There is a wide range of recipes at different levels of complexity, many are very easy to make so it is a book that is accessible to everyone. If you love trying the cuisines of other countries, then why not try something a bit different from French, Italian or Asian recipe books. Anyone with a Polish background is going to love Wild Honey and Rye and recognise so many of the recipes, but you don’t have to have Polish origins to enjoy the recipes, there’s definitely something for everyone. 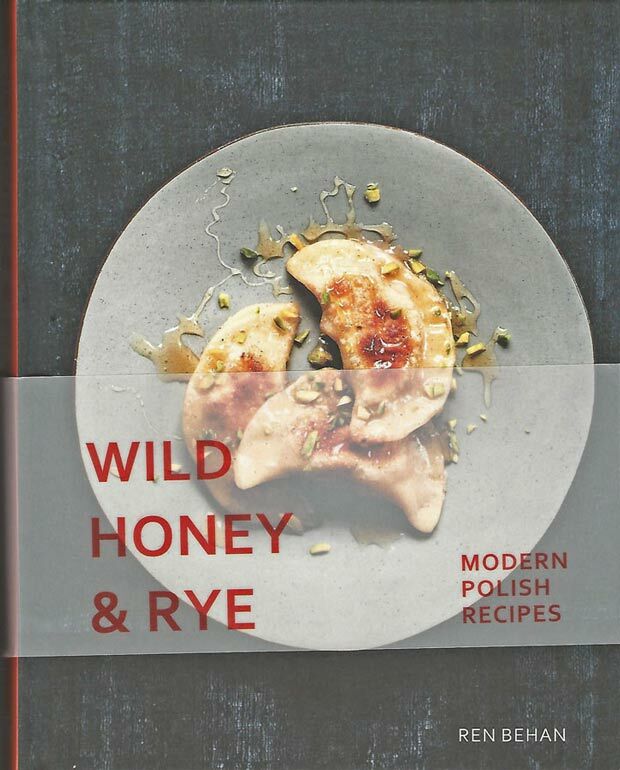 Wild Honey and Rye is full of information about Polish cuisine as well as the actual recipes. 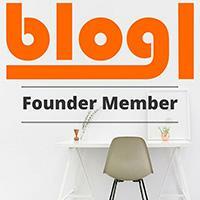 Ren’s style and personal touch comes through her writing making you feel you are really sharing in a family meal. Not all recipes have photographs, but the photographs that are there are excellent and very tempting. A well-rounded exposition of Modern Polish cuisine. It is not a historical document but a contemporary blend of traditional elements with modern techniques. All made accessible by Ren’s interpretation and warm and inviting writing. We absolutely loved the One-Pan Polish Breakfast in fact, we ate it for lunch after spending the morning working with cattle on the farm. I forgot to get any mushrooms, but we enjoyed the kielbasa sausage dipped in the runny egg yolk and the caramelised tomatoes went so well with a slice of rye bread. This is such a lovely review of Ren’s book! So interesting to find out about the Scottish/Polish connection too. Thanks, Kate. I do love reviewing cookbooks and reading Ren’s stories reminded me of my own rather tentative connections! That breakfast look delicious – hope you enjoyed it!! We loved it, Heidi. We had it for brunch/lunch outside on the patio last Saturday when the sun was shining. I’m so glad you enjoyed the book too. It’s interesting to hear how Polish people had an impact on your locale. 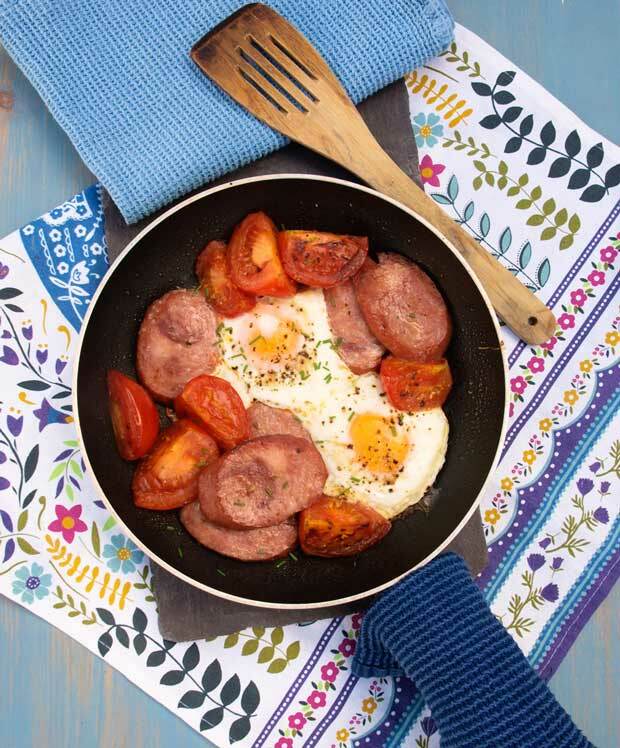 A one pan breakfast with spicy sausage has just zoomed up my list to try. Thank you, Sally. I don’t think I really thought anything about it, other than that they had names which you said differently from how they were written! Reading the book brought it back to me and I loved the recipes. What a great, in-depth review of Ren’s book Janice! Love the look of that breakfast. My kids really enjoyed trying Polish sausage, bet it works great with those fried eggs! I would definitely buy Polish sausage again, we used the rest of the sausage with pasta and tomato sauce and it was really tasty like that too. 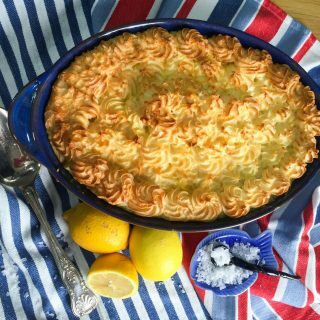 Oh Janice this is such a lovely in-depth look at my book and I’m so pleased so many of the recipes resonated in lots of different ways. I also love the Polish-Scottish connections, many of which I am just learning about myself, but Dad always reminisced about his time in Scotland with fond memories. This one-pan breakfast a such a treat and I hope you enjoy cooking from the book more and more. Thank you so much. You are very welcome Ren. Your book is full of the kind of home cooked family food that I love. Ahhh. this would make the most perfect camping breakfast! Love your review Janice, and love Ren’s book too! 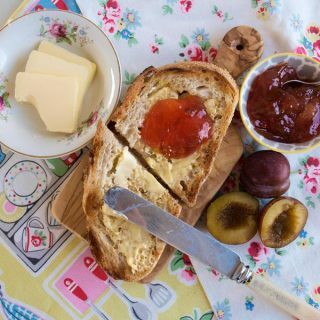 Oh it really would be perfect for camping – breakfast, lunch or supper! An excellent review Janice. If I didn’t already have a copy of my own, I’d be rushing out to buy one now. I’m very much liking the idea of a one pan breakfast. I’m with you there, Margot. I’ve become a convert to Polish sausages, so tasty.